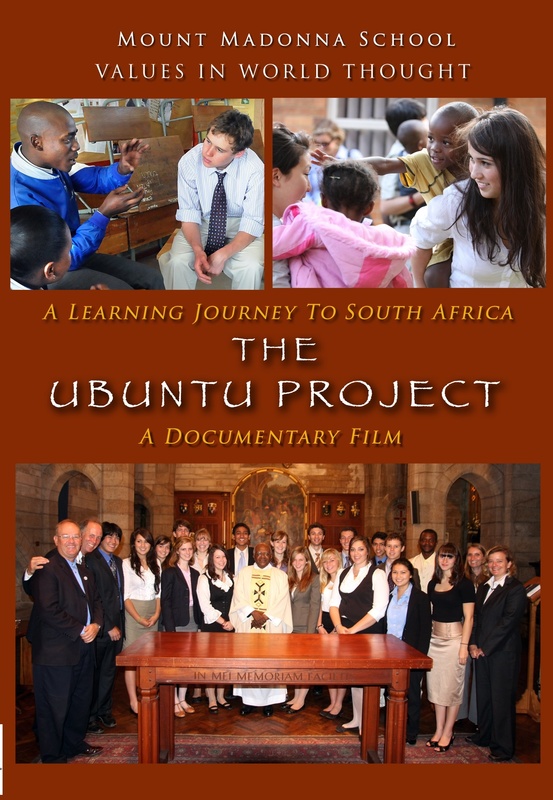 The above was written by 11th grader Anneka Lettunich after returning from our recent journey to South Africa to interview Archbishop Desmond Tutu. I believe her brief reflection reveals the essence of the Connecting for Changestory. One of the challenges of Connecting for Change is that it has no predetermined outcome or well defined “work product.” It makes no collective decisions and creates no manifestos. Its product is deceptively simple. It is the change of awareness that comes from new connections and that is very hard to measure. I faced the same problem in the Values in World Thought program I have been developing at Mount Madonna School over the past two decades. I finally decided to tackle the issue by creating a “Learning Journey Rubric” that creates a new way of measuring the learning and transformation that comes from new connections. As I explored the processes and outcomes of the learning journey, I saw many similarities to the Connecting for Changeexperience. In 2007 and 2009, I have had the privilege of traveling on Values in World Thoughtjourneys with my students to India to speak with His Holiness the Dalai Lama and to South Africa to speak with Archbishop Desmond Tutu. Quite coincidentally, the mentors for those journeys included Peter Block, Margaret Wheatley and Peter Senge along with several other important guides including Angeles Arrien and Sobonfu Some. On these two journeys, I witnessed in the experiences of my students some of the underling principles that I believe give power to the transformative process of Connecting for Change. The exciting cause of our trips was to meet with extraordinary world figures who were inspirational forces for humanitarian values and positive change. Our meeting and conversations with them were everything we hoped for. They embodied their values and graciously shared with the students. The surprising part of both journeys, however, was that an equal impetus for learning and transformation came from interactions that we had in connecting with ordinary people along the way to meet with the wise ones. On the India journey of 2007, we connected with the students at the Tibetan Children’s Village and the children of Sri Ram Orphanage near Haridwar. It was our engagement with them that taught us the most about ourselves and profoundly shifted our view of the world, and our place in it. 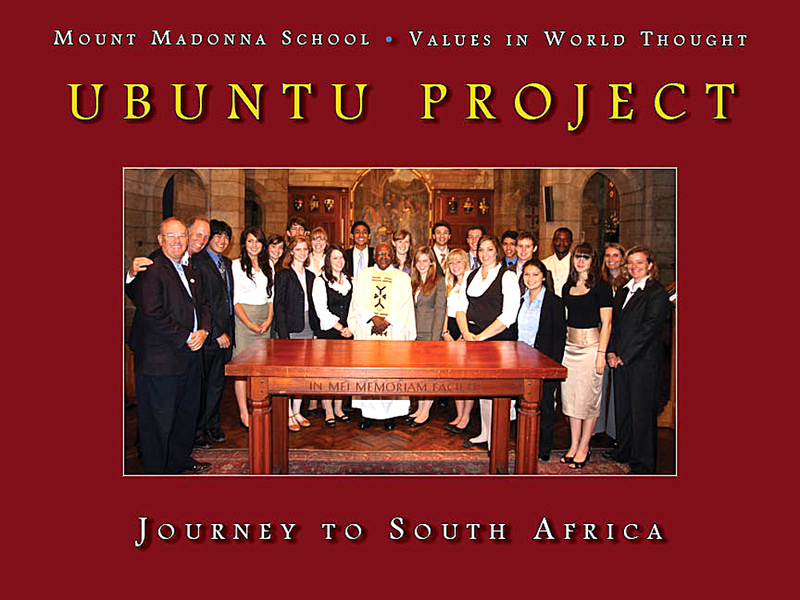 On the 2009 trip to South Africa, it was the students of Fezeka High in Guguletu Township, the babies in the Cotlands Aids Orphanage, the people of Philani Child Nutrition Project in Khayelitsha and the street children of Mylife project in Cape Town that connected us with our own humanity. These experiences are almost beyond the capacity of words to describe. What I took away from these two experiences was the power of bringing people together with positive regard. The swift bonding and discovery of common interests across life circumstances that could not have been more different was simply amazing. In our brief series of interactions, friendship, care and understanding blossomed. In Africa, the 2 to 5 year olds affected by AIDS at Cotlands orphanage swarmed over the students without hesitation, demonstrating unconditional love and joy of the moment. At Philani Child Health Project in Khayelitsha Township, the students discovered that when all physical security is removed, humanity still remains. At Mylife in Cape Town, we met with street children who had grown up under the most brutal conditions. Even so, they were still willing to trust us with their stories and showed us the capacity of human beings to persevere. These are examples of the transformations that occur when people who do not normally come into contact connect with a spirit of openness toward one another. My reflection on this is that Connecting for Change is not just an event but actually a demonstration of some important principles that may have a more universal application in the learning journey of life. Connecting with others opens us to new information and awareness. The exchange of information, ideas, experiences, and wisdom between any two people brings about a changed state in both, creating new possibilities. We also learned in South Africa that the greater the initial divergence, the greater the potential change. Relatedness is based on an exchange and that requires trust. The essential quality of trust is non-harming. When we come together as strangers, holding one another in positive regard, we create the context for trust. A trusting relationship is the conduit through which information and resources move. This helps make the human system more aware and therefore more resourceful. Under the proper conditions, new ideas and energy moving through the system will cause the system to reorganize itself and produce new capacities that did not exist before. Externally directed change produces very limited results. It is internal and spontaneously self-created change based on new awareness that produces the most lasting results. When new connections occur, small or even large change can happen anywhere in the network at any time. The entire human system is connected and interdependent. At the same time, we are not necessarily aware of how we are connected or the implications of our interdependence. Connecting for Change, in a sense, is the system talking to parts of itself that either have not connected before or normally would not connect. This creates new webs of relationships. These interconnected networks of relationships are the basis of a system’s intelligence and the foundation its awareness. The essential change in Connecting for Change is that of awareness, which leads to a change in one’s relationship with others and the system. This ultimately leads to a change in one’s actions within the system. As Meg Wheatley points out in her work, “a system changes when based on a new awareness of itself.” The system produces new outcomes based on a new awareness of itself in relation to its environment. Every Connecting for Change event is in a sense a process that can create new patterns of relationship. This creates a new level of self-knowing of those participating in the event and brings new possibilities. In short, Connecting for Change is establishing a spontaneous and new pattern of connections in the human network. These new patterns produce new and sometimes surprising results. Watching my students on these learning journeys taught me about the transformative power of new connections. It also demonstrated how much we all need each other. Those who we think of as poor and powerless have much to teach those who are well off about love and human values. They have a power to make us aware of our own need for empathy and compassion and so many things that make life precious and worth while. I imagine the woman who Anneka visited may have thought she was powerless, but her simple humanity had the power to change Anneka’s life forever. Such is the power of change as a result of new connections.